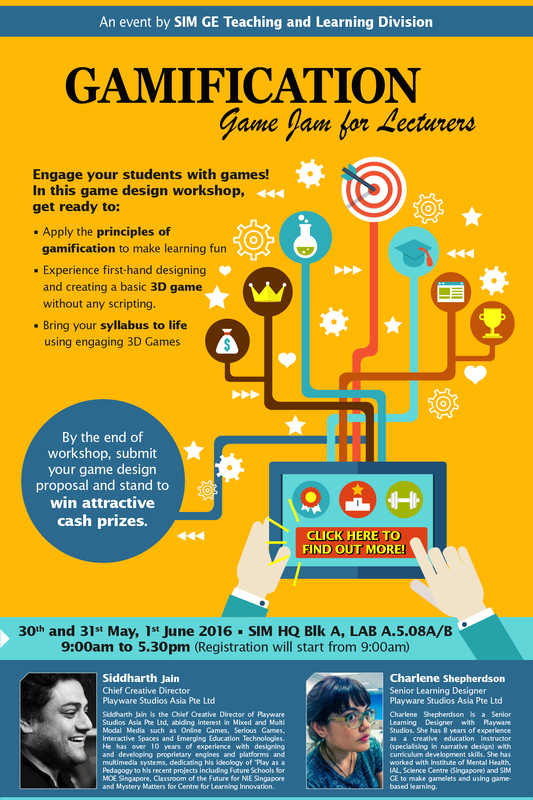 Playware is conducting an exciting 3 day Game-Building Jam for SIM Global Education Lecturers & Staff. Discover the underpinning theories on gamification. See how games are able to support students’ learning. Experience the game development process first hand and understand the fundamentals of game creation. Learn to create assessment techniques and student reflection activities through games. Develop a game prototype that you can start using for your curriculum.